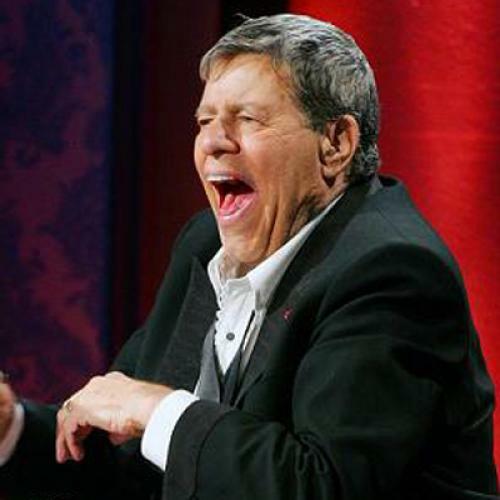 First, I would like to apologize for bringing up Jerry Lewis on Labor Day weekend, when most of us who fail to derive voyeuristic pleasure from the deranged spectacle of his annual telethon are doing our best to avoid him. In saying that, I mean not to derogate the Muscular Distrophy Association, of course. Despite Lewis's lifelong efforts to entwine his identity with that of a group of horrible diseases and its victims, conflating self-sacrifice with self-pity and exploiting the goodwill of his public to immunize his erratic self from accountability and criticism, Lewis is one thing—an undeniably gifted humanitarian nutball—and muscular distrophy is something else: a cause so worthy that it deserves better than association with Lewis. That is, it deserves better than association with the Lewis we associate with his telethon. After all, there is—or used to be—another Jerry Lewis. There was once the Jerry of Martin and Lewis, a tummeler of genius who improvised an abrasive, juvenile jazz-comedy in partnership with Dean Martin in the '40s and '50s. I grew up after their time, and I've always thought of Martin and Lewis as overrated because they could never have been as brilliant as my mom and dad said they were. Their movies, produced by the schlockster Hal Wallis for Paramount, are the same sort of mildly entertaining mass-market trifles that Wallis put Elvis in. Only in clips of Martin and Lewis from their early '50s TV variety show, the "Colgate Comedy Hour," have I seen glimmers of what my parents were talking about. Here, in a show telecast in May 1954, Martin and Lewis have ridiculous fun with the Treniers in what is probably the first national broadcast of a performance that qualifies as rock and roll. A slightly more raucous and goofier variation on the sensationally popular jump blues of Louis Jordan, the music, like most early rock and proto-rock, was taken by all involved, including its performers, as an adolescent novelty. Jerry Lewis, doing his spastic dance, fit right in. On his own a decade later, Lewis earned his enduring reputation as filmmaker with The Nutty Professor, an unexpectedly revealing, equally funny and disturbing, cinematically sophisticated study of his own unctuous inner self, the Dean Martin wannabe Buddy Love. The movie has not only held up; it has gained levels of power with the years, as we've watched Lewis grow into a parody of the object of his own ridicule. My own plan for Labor Day weekend is to order up The Nutty Professor on Netflix, avoid the Telethon, and e-mail a donation to MDA.